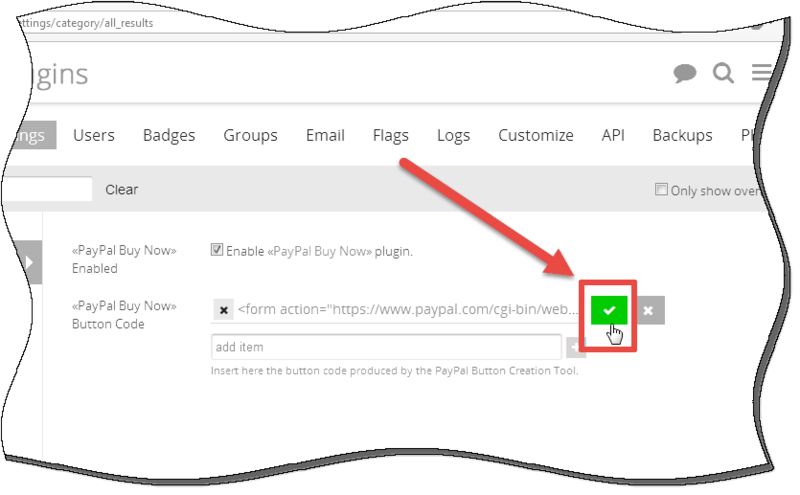 Accept payments through a PayPal form on your forum. 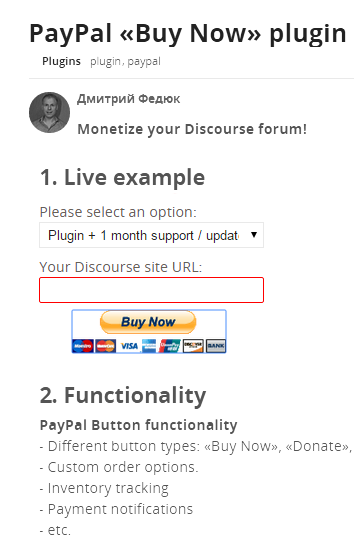 Different button types: «Buy Now», «Donate», «Add to cart», etc. A button can be placed in any position in any forum post by a simple short code. The recommended way is to buy our Membership package. It will give you access to all the plugins, free installation service, and more! 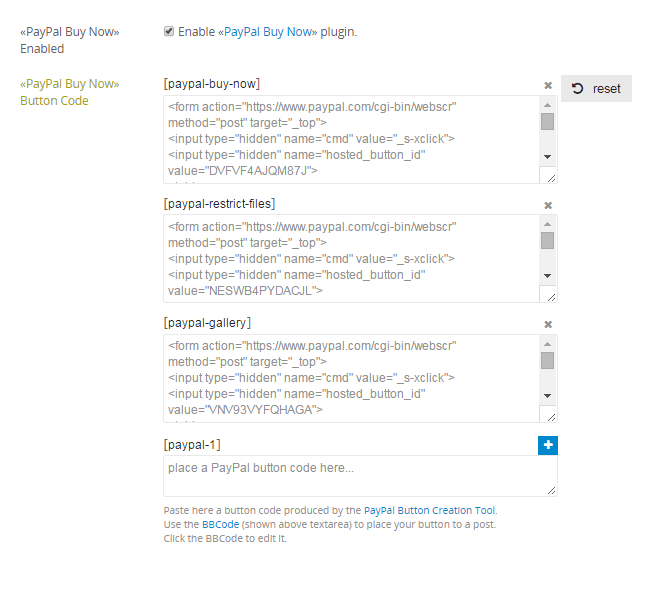 You can also buy the PayPal «Buy Now» plugin separately using the payment form above (it is realy working). 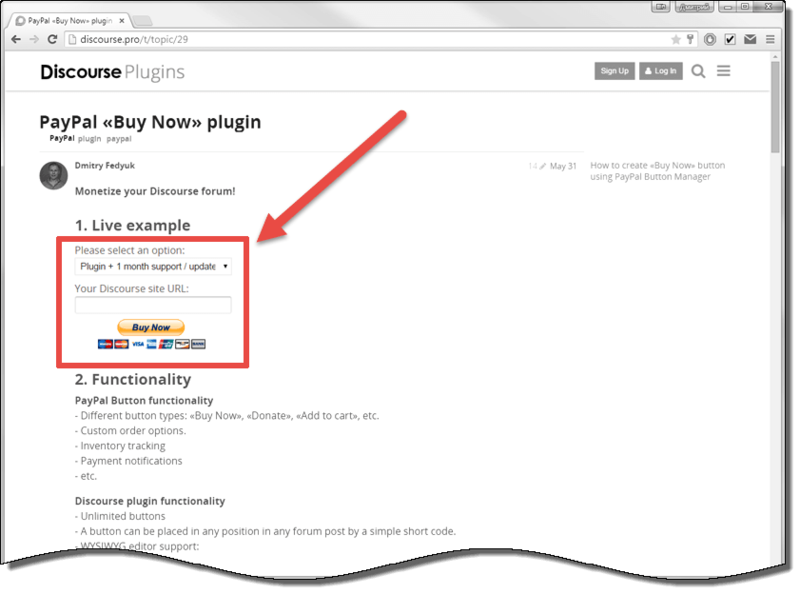 Buy the plugin using the payment form above. 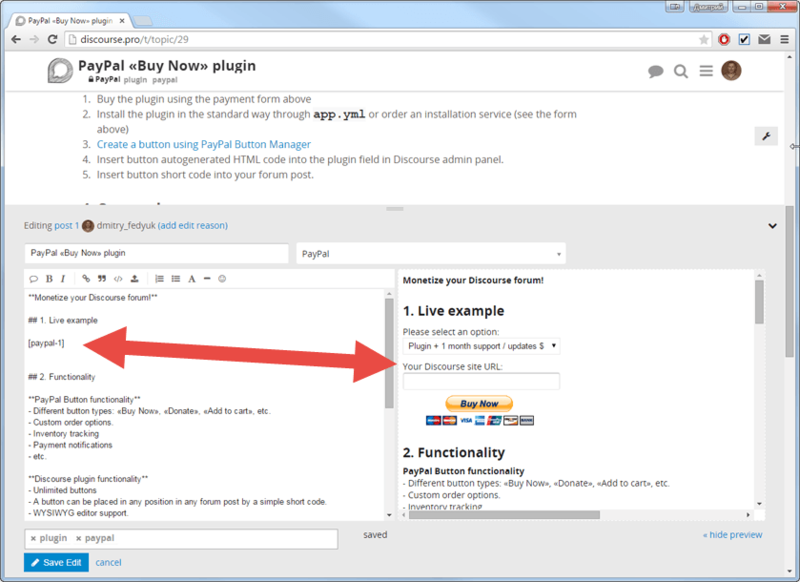 Install the plugin in the standard way through app.yml or order the installation service (see the form above). 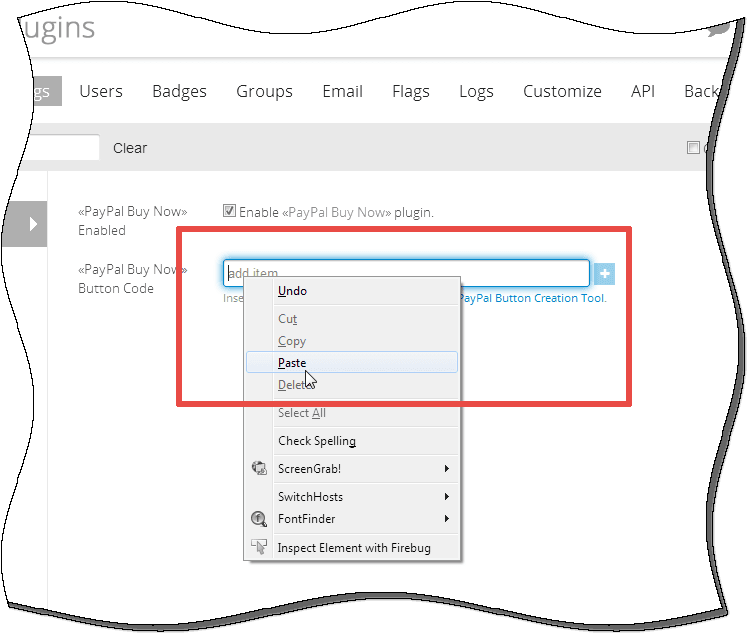 Create a button using PayPal Button Manager. 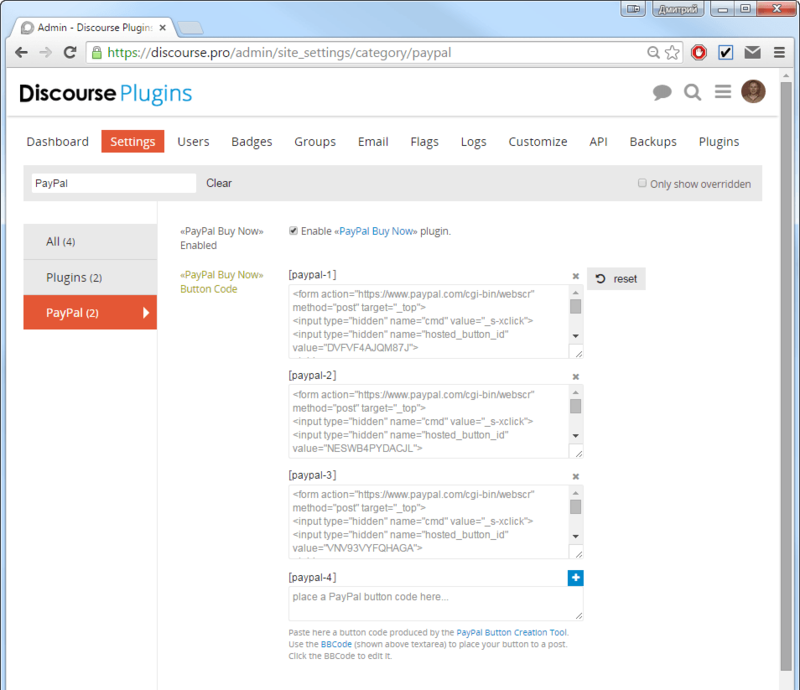 Insert autogenerated HTML code into the plugin field in Discourse admin panel. 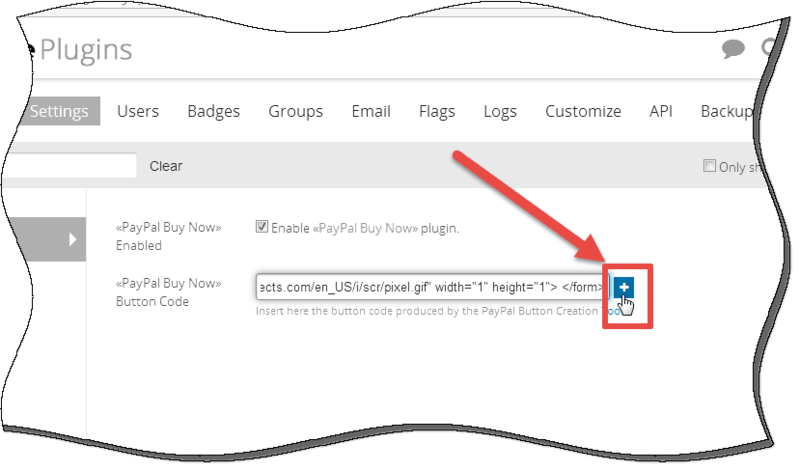 Insert button short code into your forum post. 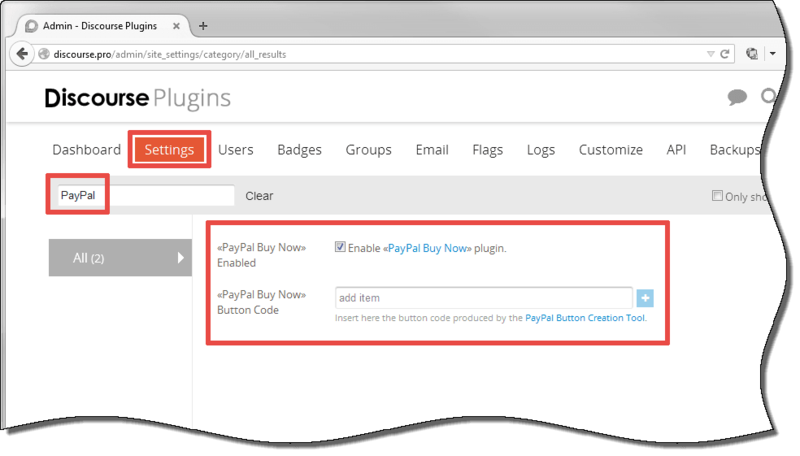 The plugin settings can be found by keyword «paypal». 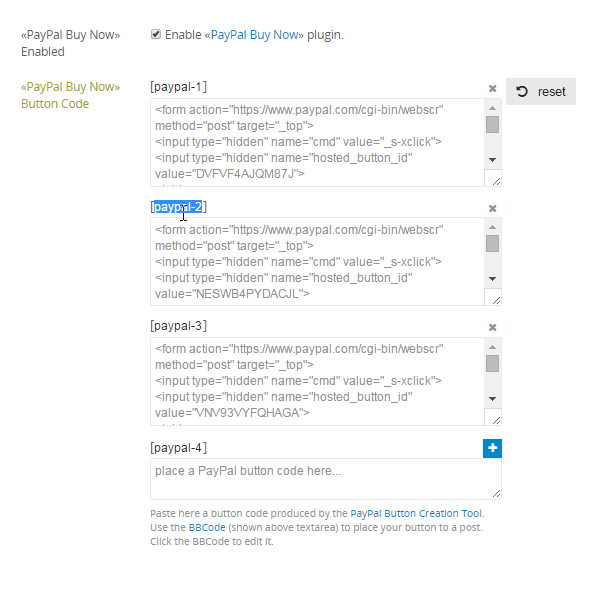 You can insert buttons to your post by short codes [paypal-1], [paypal-2], etc. The numbers are ordering numbers of your buttons in admin panel. So you don’t mess your buttons! 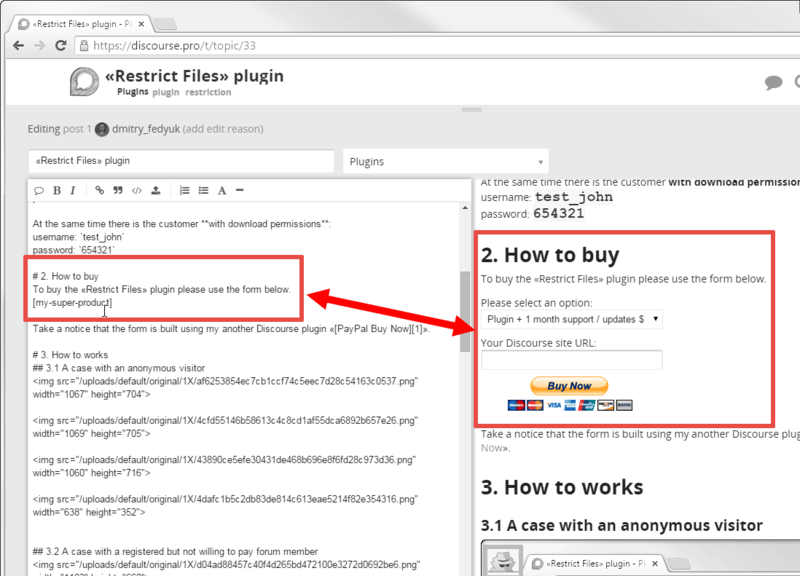 Now you can require customers to fill all the payment form fields before submitting the form. There is «Require the options to be specifieds» option in plugins settings. Enable it if you are really need all the data from a buyer. 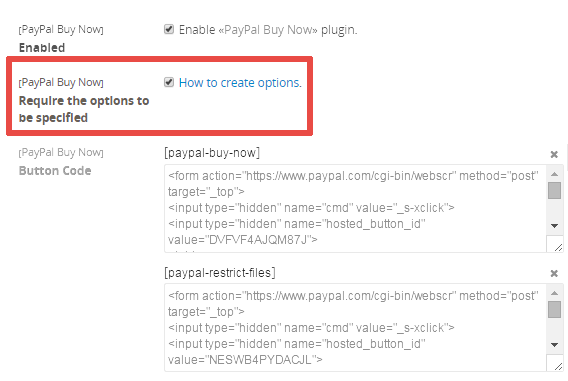 Disable it if your payment form fields are optional (comments, for example). 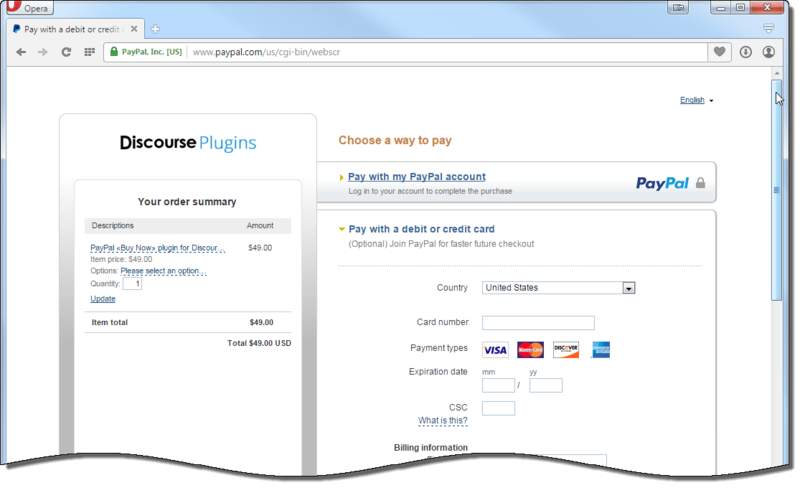 You need to install 2 plugins: df-core and df-paypal-buy-now.